Pioneers in the industry, we offer wireless camera, spy audio device, self defense electric stick, electric shock stick and self defense device from India. With rich industry experience and knowledge, we are offering a qualitative range of Wireless Camera that is known for its compact size. Used for fulfilling the demands of tight security, this camera is designed using high grade material and advance technology at our vendor’s end. Apart from this, the movement of this camera can be controlled from control room and images can also be monitored. 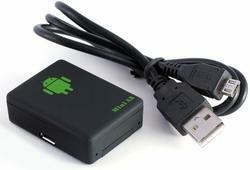 We are a prestigious trader and supplier of quality assured gamut of Spy Audio Device. Designed using high grade material and latest machines, this audio device is used in museums, airports and metro stations for security and safety purposes. As per the varied needs of our clients, we offer this audio device in a number of specifications that can be customized too. As a quality-oriented organization, we are focused to provide our clients excellent quality Self Defense Electric Stick. The offered stick is manufactured using high grade components and advanced technology. The offered stick is availed in different configuration and other related specifications, in order to meet the variegated expectations of our valuable customer. Our provided range is rigorously tested by the team of our professionals. Furthermore, our clients can avail this stick from us at market leading prices. 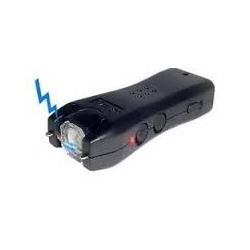 Our clients can avail from us a wide assortment of Electric Shock Stick at industry leading prices. Adhering to the industry quality standards, our products are stringently checked by experts upon various parameters to the set industrial norms. It will release electric shock while pressing the button and thus attacker got shock. In addition to this, our flawless stick is widely demanded for its high performance and reliability among our clients. This is product is for self defence. 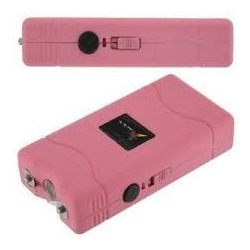 Whenever your are in danger situation or some one is attacling you that time thi device can be used. It will release electric shock while pressing the button and thus attacker got shock like that your can save your self. 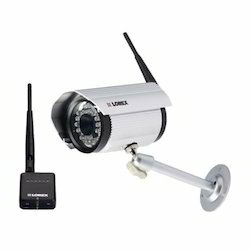 Looking for Security Product ?